Last June we published an interview with Mirai CEO Pablo Delgado, whose technology made it possible for AYRE Hoteles to be the first Spanish hotel chain to implement trivago Express Booking. trivago Express Booking is a trivago-hosted, hotel-branded direct booking platform. With its innovative, responsive design, it was developed to improve both the hotel’s conversion rates and the user’s booking experience. Naturally, we were eager to hear about AYRE’s experience with the tool a few months on; what the implementation process was like and what results they were already seeing. Alfonso Pérez, the Sales & Marketing Director for AYRE Hoteles, was able to provide us with insights into the chain’s eminently positive experience with trivago Express Booking and the impressive improvement to the number of bookings they were receiving by using it. “trivago Express Booking proved to be an all-in-one solution to the challenges we were facing,” Alfonso told us. 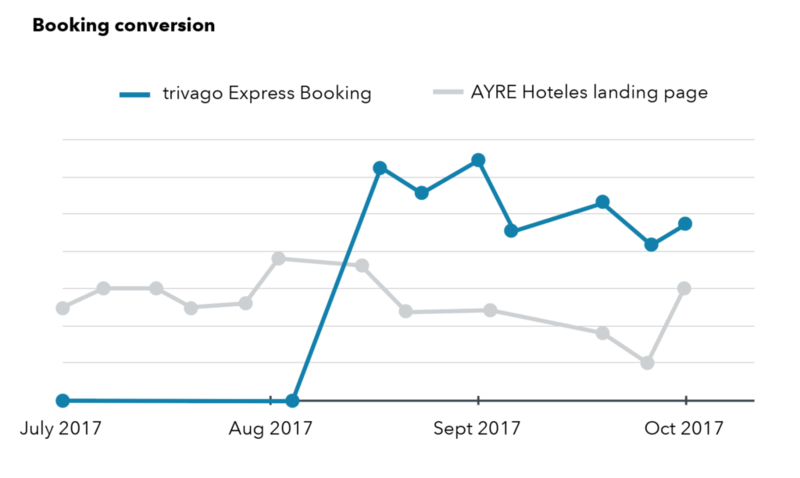 Here’s a closer look at how, thanks to trivago Express Booking, AYRE Hoteles was able to quickly double its booking conversion and expand its market reach — without having to risk its current revenue stream, increase its marketing spend, or compromise its brand awareness. 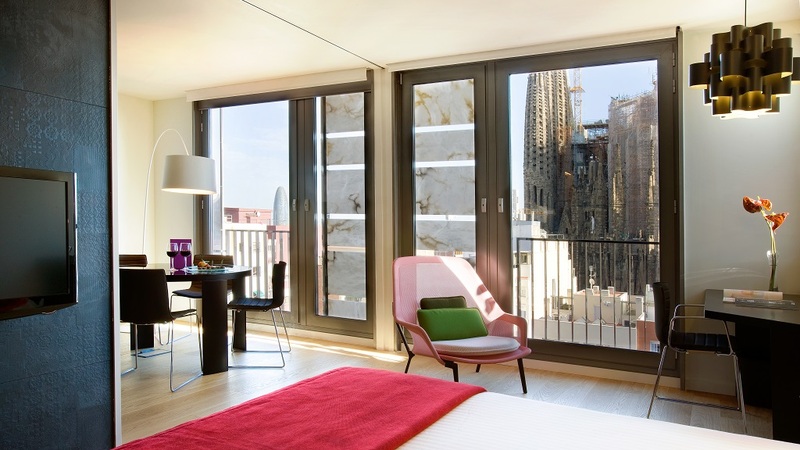 AYRE Hoteles, a Spanish chain known for its unique and lively 4-star urban properties, was facing significant challenges in competing in the online distribution landscape. Their challenge was further compounded by their goal to expand into new markets, as well as their concerns that any effective solution would damage their brand awareness or make their cost per booking too high. trivago Express Booking was proposed as the cost-effective solution that could help AYRE overcome its challenges and achieve its business goals, and the chain became the first in Spain to implement it. AYRE’s trivago Express Booking journey began with the implementation of the API (application programming interface). With the support of their dedicated technical account manager, the process was “quick and simple.” Once set up, AYRE started testing the booking platform in select markets, to gauge its impact on conversion and revenue. By splitting traffic between their traditional landing page and the trivago Express Booking page, AYRE was able to gather performance data without putting their revenue stream at risk. Even in this early testing phase, the performance data was “impressive,” as Alfonso put it. The subsequent tests in the German market yielded equally encouraging results, prompting AYRE to increase the percentage of traffic sent to the trivago Express Booking page and to start testing in its core market, Spain. AYRE began by directing 20% of its traffic to trivago Express Booking. In the following month, booking conversion rose by half a point, the average number of bookings increased by 4.25%, and the average basket value remained unchanged. 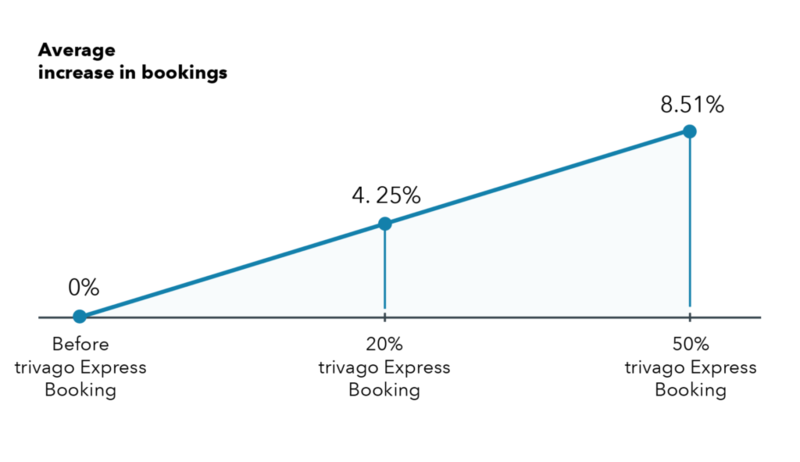 Based on these initial results, AYRE was confident enough to start sending 50% of its traffic to the trivago Express Booking page — with a positive outcome. “Booking conversion increased by a full point, and the average number of bookings increased by 8.51%, an impressive improvement, considering we maintained the same CPA as before,” said Alfonso. Implementing trivago Express Booking was a decision that seems to really have paid off for AYRE Hoteles. “The overall experience has been eminently positive,” Alfonso affirmed, citing increased conversion rates and increased booking value. “We’ve also maintained our average basket value and CPAs,” he noted. In addition, AYRE was able to achieve these goals “without harming [its]brand awareness” because to date, trivago Express Booking is the only hotel-branded facilitated direct booking platform. Readers can find more ideas for increasing conversion in “4 Data-Informed Ideas for Higher Hotel Booking Conversion Rates” and more marketing insights here on our blog. Looking for information on other hotel technology that a hotel can use to drive direct bookings? We can help with that, too. Click the button below to find out about trivago’s Rate Connect solution. As always, we’re happy to hear from you in the comments section below. Feel free to leave questions, concerns, and article requests.